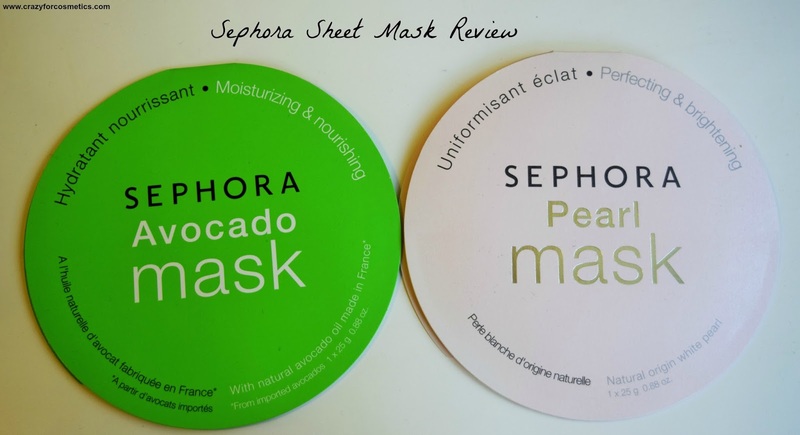 The Sephora masks come in individual packaging and they are soaked in a right amount of the liquid. 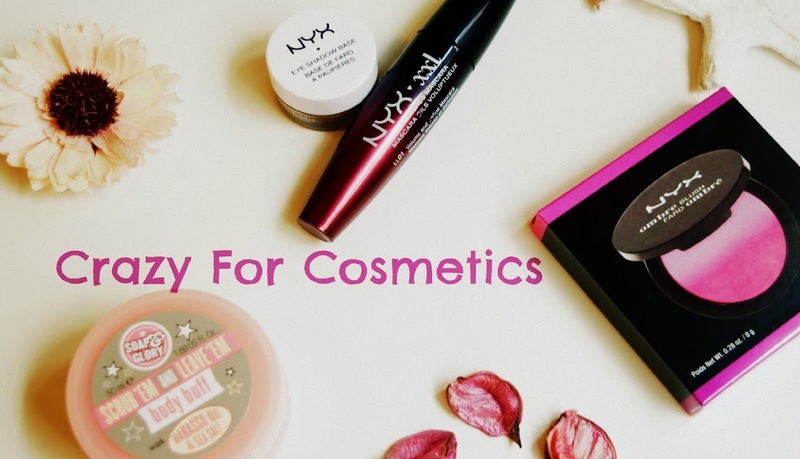 They are quite easy to expand and they have the correct amount of product which makes them very easy to use , unlike other masks which can be a bit messy. I have tried several masks which used to keep dripping all the time and it used to be so annoying to clean it up. 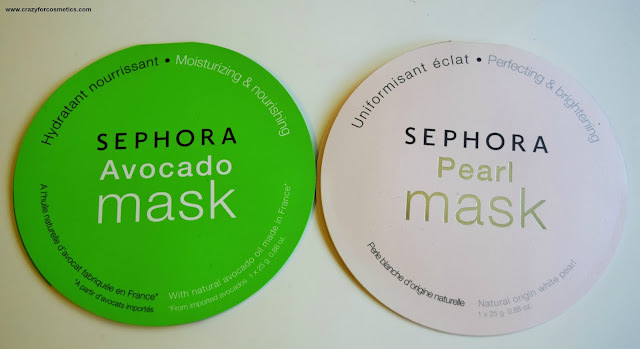 Sephora masks smell really good and the masks can be kept for about 20 minutes and then you can reverse the direction and use it for another 5 minutes. Avocado & Pearl Mask - How it works? I love avocados because they have the fats that are needed for our hair and skin. I eat them on a regular basis and also use them on my hair as a hair mask. I wanted to try the Avocado mask from Sephora since it had claims of relieving sensitive areas. Recently I have been having some redness around my nose area and hence I wanted to try this mask. The mask had a very soothing sensation on the skin and smelt really good. After usage, my skin felt really soft, fresh and the redness had reduced a bit. My face felt brighter and softer for the rest of the day but it became normal the next day. The pearl mask is said to brighten the face and I wanted to try it because I had got badly tanned recently. When I used the mask, it got dried up in about 15 minutes as compared to the Avocado mask and my face felt a little brighter. I did not find any instant results , but I did feel refreshed. The tan was not removed completely, but in some places like the forehead, I could see a slight improvement. Both the masks felt really good and did not have any harsh reaction on my skin. I love how the masks can be expanded easily and how they have the right amount of product which would just stay intact for the 20 minutes. 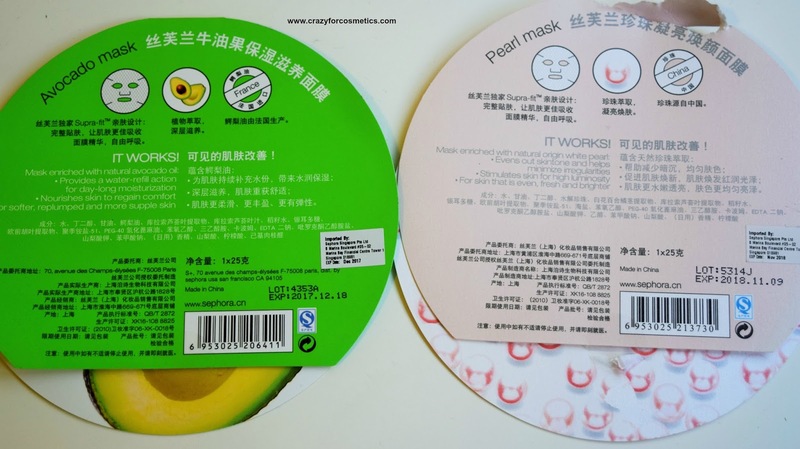 3 : Instant reaction could be observed with the Avocado mask. 1 : Expensive when compared to the other Korean sheet masks.